The new EYE website is a fantastic new resource for early years professionals looking for best practice advice, activity ideas and research-led features. It is designed to be user friendly, with articles labelled by EYFS theme, to help you quickly and easily find the information you need. 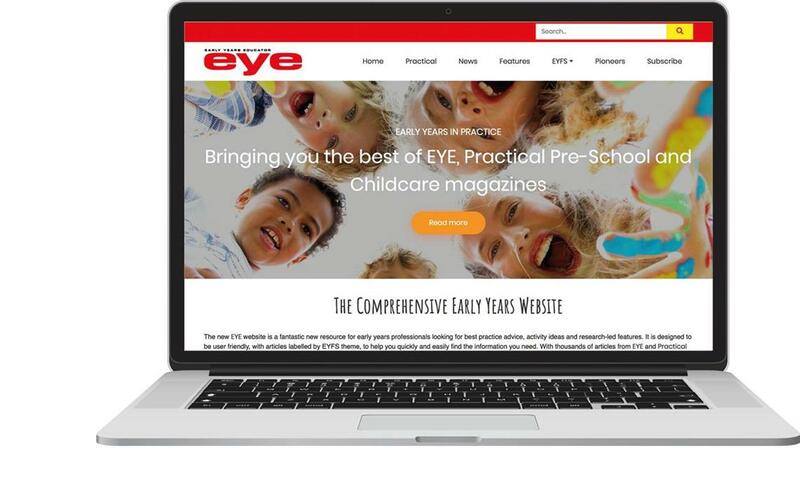 With thousands of articles from EYE and Practical Pre-School, this website is a great new tool to help you meet your information and professional development needs and to ensure every child reaches their best potential. 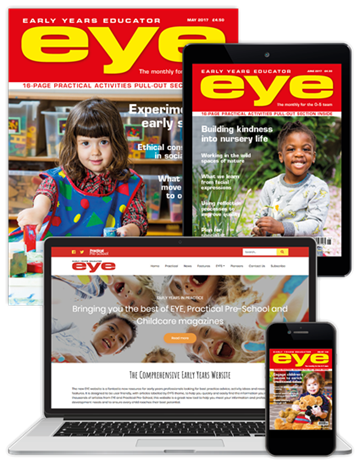 As a former subscriber, we are offering FREE unrestricted access to the new website and a FREE digital edition when you resubscribe to EYE. By taking advantage of this exclusive offer, you will SAVE UP TO £45 on EYE’s unmissable early years insight and guidance.